If you are looking for tyres and exhausts in Nailsworth then we are the company to call. 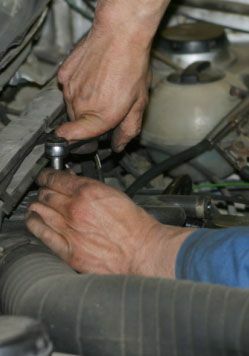 Here at The MOT Garage our team of professionals offer nothing less than excellent quality services and parts. Based in Nailsworth and we are happy to provide our service to clients throughout the surrounding areas within a 6 - 10 mile radius. Please read on to find out more. If you need assistance or services that are not listed above then please feel free to contact The MOT Garage today. We have many years experience and have the skills and abilities to help you with a wide range of services. Remember, we are always on hand and ready to help you in any way that we can. If you would like to find out more about the services we can provide, or if you would like to discuss your individual requirements then please feel free to call The MOT Garage on the number listed on this website. Alternatively, send us a message using the online form provided on the Contact Us page and we will get back in touch with you as soon as possible. We look forward to hearing from you in the near future.